Can photography produce a new frame of understanding of immigrants and refugee women in Norway? Can art challenge the traditional representation of this group of people? What's the situation for immigrant women married to Norwegian men in rural communities? What kind of role can they have in the local community? Can they unfold on their own terms and use their expertise and experiences? THREE WAYS OF FRAMING – WOMEN WITH AND WITHOUT IMMIGRANT BACKGROUND (2013) was an art project in Malm, Verran (NO) concerned about identity, photography as representation and participatory methodologies. I collaborated with 10-15 local immigrants, refugees and asylum seekers from Lithuania, China, Thailand, Poland, Russia, Eritrea and Norway. In an effort to explore three types of framing and participatory methodologies. The project contained several particpatory activities such as: giving a lecture, conducting a photo workshop for the participants, home visits, meetings, social media, coordinating a guided tour in the mine; Vestgruven and making an exhibition together. The participants in the exhibition: Belaynesh Ashebiy (ER), Zhiping Mi Bjørk (CN), Marina Svendsen (RU), Chutikan Saosiri (TH), Sara Fesshaye (ER), Mebrat Hagos (ER), Dalia Brøndstad (LT), Beletset Hadush (ER), Torunn Bergsmo Stavrum (NO). Artist: Brynhild Bye-Tiller (NO). This was the second of two projects focusing on immigrant and refugee women in a rural community. The exhibition contained three ways of framing: Documentary photography, miniature portraits and self portaits – all of the women who participated in the project. Three different ways to portray the women, hence the title: "Three ways of Framing". I visited ten participants in their homes or at work or in school. 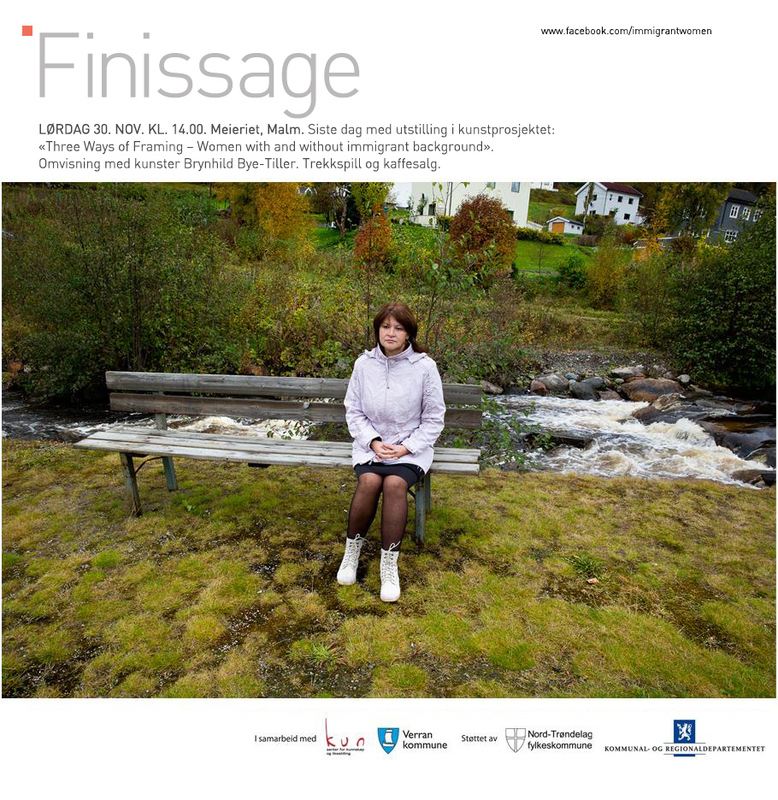 The goal was to produce a truthful, objective and candid photography describing a reality often difficult to access and a little-known part of the Norwegian society. To make a human interest story with an accountable narrative which shows bits and pieces of their everyday-life, which is unknown for many people. What happens when an Eritrean refugee is depicted in a portrait miniature most common for wealthy Europeans of 1600-1700’s? I arranged a temporarily studio in Verraparken with a black background on a stage, making small-scaled tondo (circular) photographs with a smooth painterly transition from light to dark. During the photo workshop the participants got an assignment: "Take a self portrait". They all dared to ask themselves if there is anything more in life. Do we know everything about ourselves? The question “Who am I?” was discussed and each woman participated with one self portrait in the exhibition. What happens when Zhi-ping from China took a self-portrait wearing a Norwegian sweater with Chinese characters in the background? How does she want to be perceived and how do we perceive that? Quote Marte Taylor Bye, KUN: "The participants took part in front of and behind the camera, in montage, they learned about photography, they became admin for a facebookpage, guarding the exhibition, they organized the vernissage and finissage. Through this participatory work process and numerous activities, the participants have gotten to know each other well and form new networks." The project started with a lecture presenting the work of the artist and a photo workshop. The experiences from both productions, "My home" and "Three ways of Framing" highlighted visual art as an alternative and successful step to get refugee - and immigrant women to "speak". Especially where there are language challenges present. Many of the participants spoke very little Norwegian and English. Some were illiterate and with this kind of visual projects they could easier participate on an equal basis with the others. The project created nice meeting places and new networks, after completing the project it has been further developed. 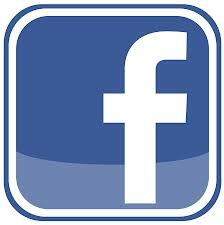 Both through social media and different presentations of the project. The participants have presented the project for others at conferences an so on. The question is whether socially oriented art projects can through alternative approaches, open up for a new understanding and other methods of integration - and thus give a positive change of current practice. A practice that is very little discussed for an growing group of people. The challenge in interdisciplinary work is to protect a clear artistic goal. Not to take on too many tasks that are beyond the reach of art. Arts and Culture are conceivably more and more precieved like an engine in development of the society. The art can be "diluted" in favor of being an instrument for the government. The discussion of this development at the expense of the freedom of art and intrinsic value is still relevant. Quote Mary Jane Jacob; "It's ok to use art as an instrument, it depends on what you're using the instrument for." 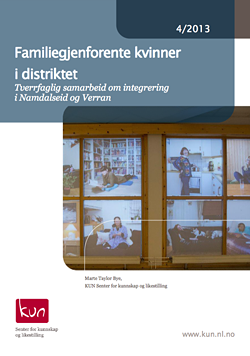 KUN's project “Familiegjenforente kvinner i distriktet” mapped the situation for immigrant women married to Norwegian men in the municipalities of Namdalseid and Verran. Through an interdisciplinary cooperation with artists we have tested how involving art processes can contribute in creating including meeting places and strengthen the integration of immigrants. The processes in these two district municipalities show positive results, and we point at some important criteria to succeed. Both art projects were characterized by an inclusive work method, with photography. We claim that such an art production is unique in the common space it creates across communication barriers. Photography is a suitable medium of communication, which allowed everyone to participate, both in front of and behind the camera." Quote KUN's report from the project. END QUOTE KUN'S REPORT. NOTE! The report is Only in Norwegian. The project was organized together with the municipality of Verran and KUN centre for Gender Equality. It was the second production in Nord-Trøndelag county with a focus on local immigrant and refugee women. The first production: My home was executed in Namdalseid, Norway in 2012-2013. A neighbouring municipality of Verran. "The Municipality of Verran has 2830 inhabitants, and it is about a half-hour drive from the County Center of Steinkjer. The municipality center is Malm. Other places are Follafoss, Sela, Verrastranda and Verrabotn. Approximately 50 % of the working population of Verran is employed in industrial activity. The fjord, where most of the people reside, is of historical importance to the people of Verran in regard to food resources and transportation. Boat-building was an important industry earlier in its history (the local boat “Jekt”). This is symbolized in our municipality logo." Art work: 38 photo works by the artist, 9 self portraits by the participants and 9 texts by KUN. 9 large-format photographies mounted on metall. 20 small-format color photographies mounted on the wall. 9 framed miniature photographies and 9 self portraits in different retro frames and 9 text posters (A4) with data from the survey done by Marte Taylor Bye, KUN.